Federal authorities have discovered a sophisticated drug-smuggling tunnel that went from a home in Mexico to an abandoned fast-food restaurant in Luis, Arizona, about 200 yards (180 metres) north of the border. Police began trailing the owner of the abandoned building, Ivan Lopez, and arrested him this month after finding methamphetamine, cocaine, heroin and fentanyl in the back of his truck. 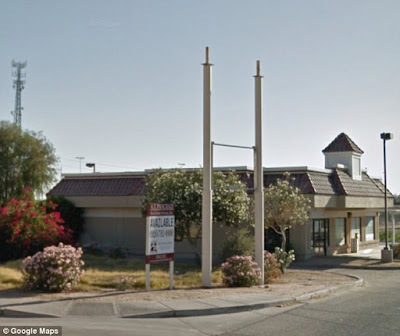 The abandoned KFC which Ivan Lopez bought in April for $389,000 Police don't know how long the tunnel had been used, but Lopez bought the property in April. According to court documents, the government believes Lopez is a well-trusted cartel member. 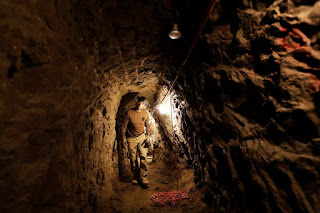 Nearly 200 cross-border tunnels that have been discovered since 1990. Border agents are seeing an increase in tunnels, which are expensive to build and take long periods of time to construct. The tunnel will be sealed with concrete.